Seniors Lauren Gregory of West Hall High School, Joshua Bennett of Chestatee High School, and Colin Loyd of North Hall High School discuss the scenarios they witnessed and what choices they feel the employees should have made. If a high school student working at her first job is asked by a senior employee to give a special discount to a group of people without telling the owner, what should she do? Will she realize she faces an ethical dilemma and make the right choice? The BB&T Center for Ethical Business Leadership, a unit of the Mike Cottrell College of Business at the University of North Georgia (UNG), has worked with regional businesses to develop two related programs – Business Ethics: Experience and Business Ethics: Educate (BEE) – to help students make ethical decisions in the workplace. The programs were developed in partnership with the Georgia Department of Labor, Hall County Board of Education, Junior Achievement, and are endorsed by the Georgia Department of Education. "We have strategically partnered to create programs that provide business ethics education and experience to our future leaders of north Georgia," said Rose Procter, director of the BB&T Center for Ethical Business Leadership. "We have an obligation to high school and college students to prepare them with the hard skills to be a leader in business and also the soft skills for a path of ethical leadership. We give them a competitive advantage by providing experience in ethical decision-making in an educational environment before they are faced with it in the real world." Students listen to further details about an ethical business scenario. The BEE programs also are a pathway to the Georgia Department of Labor's Georgia Business Ethics Student Training (BEST) certification. Completion of the BEE programs can earn high school students nearly half of the credits required for the GeorgiaBEST certification. The pilot BEE programs, held at Lanier Charter Career Academy in March, brought some 50 students from north Georgia high schools to participate in scenarios portraying workplace ethical dilemmas. The scenarios were constructed by UNG faculty and staff and participating businesses like J. Thomas Salon and the Lanier Technical College Forsyth Conference Center. Students were divided into groups and rotated through six business scenarios that required them to decide whether or not there was an ethical dilemma, and, if so, how the dilemma should be resolved. Attending the pilot were Department of Labor representatives Mark Butler, commissioner of labor, and Cindy Morley, director of GeorgiaBEST, along with State School Superintendent Dr. John Barge. 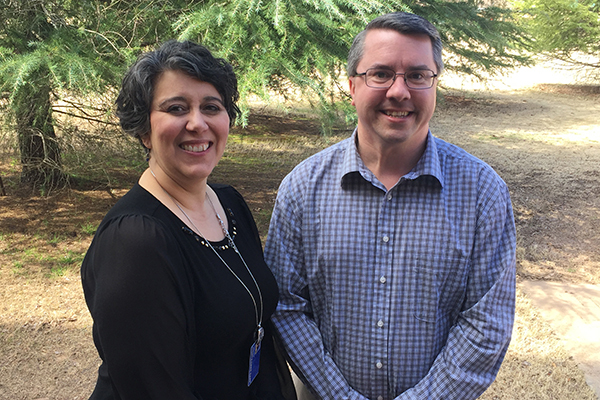 "This is a wonderful tool for giving students experience in how to act ethically in business situations before they head out into the real world and see these things firsthand," said Rhonda Samples, career technology coordinator for Hall County Schools. "Ethics training is not included in our current curriculum, so this is very helpful for soft skills training. We feel that having the students participate in an authentic ethical environment will impact them more than reading about ethics in a book." The teams also had to present their responses to one of the scenarios before a board of north Georgia business professionals that included retired businessman Don Flowers; Perry Tomlinson, executive in residence for the BB&T Center for Ethical Business Leadership; Buster Evans, superintendent of Forsyth County Schools; Stacy Poole, local store marketing coordinator for Northeast Georgia Inc. and McDonald's franchisee; and Bob Swoszowski, founder and CEO of Northeast Georgia Inc. and owner of 12 McDonald's restaurants in northeast Georgia. Gregory, Bennett and Loyd present their decisions to the board. After hearing each group's presentation, the board then asked students to present their thoughts on a second scenario of the board's choosing. 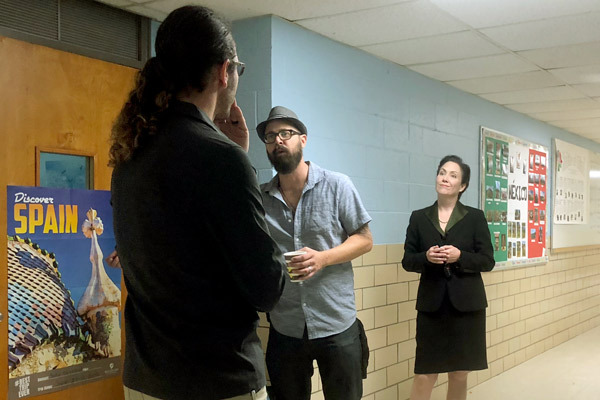 Afterward, the board named the group they felt made the best decisions, and also discussed with the students some of the explanations they heard that may not have been very ethical. "It's great to have this chance to learn about real-life ethical situations before taking them on in a job," said Lauren Gregory, a senior from West Hall High School. Colin Loyd, a senior from North Hall High School, said having a variety of businesses portraying the scenarios was also very helpful. UNG students also participated in the event by acting the parts of young workers in the ethical scenarios. "They are able to relate to us; they can easily put themselves into our characters to better experience the ethical situations for themselves," said UNG student Connie Rodriguez. The BEE Programming has since been accepted, and will be presented as a business ethics education model at the Georgia Association for Career and Technical Education in summer 2014. The BB&T Center for Ethical Business Leadership facilitates critical thinking, promotes ethical decision-making and supports education in ethical business leadership through education, research and professional development programs at the community, university and K-12 levels. 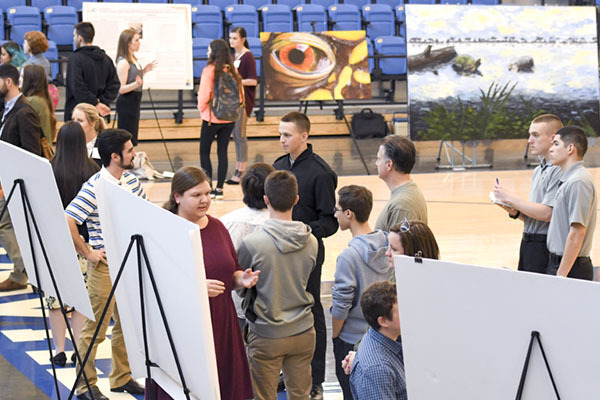 The center supports the mission of the Mike Cottrell College of Business and UNG by preparing students to serve as leaders in their communities and in a diverse and global society.